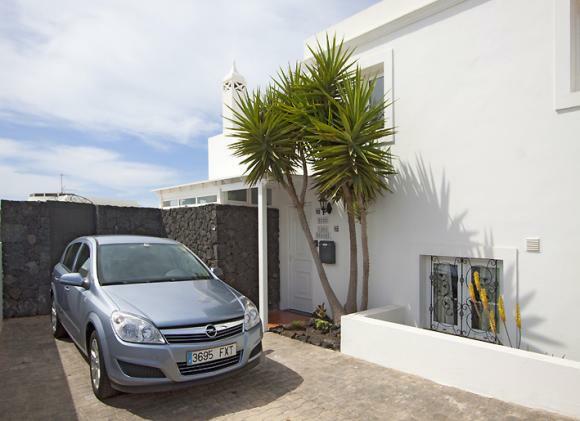 This three storey semi-detached villa is one of a small group situated in the popular Los Mojones area of Puerto del Carmen. 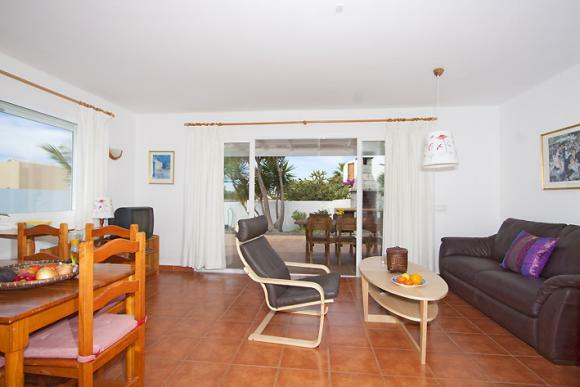 The villas are within walking distance of both the Old Town and harbour and the main Avenida with its shops, bars, restaurants and large sandy beach. 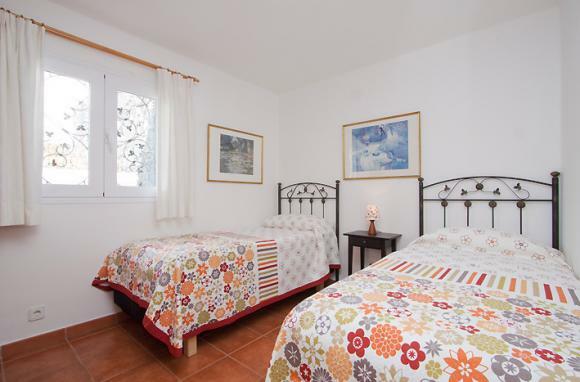 The three storey accommodation comprises a lounge/diner with comfortable sofa, satellite TV (no card), DVD and patio doors leading to the pool area. 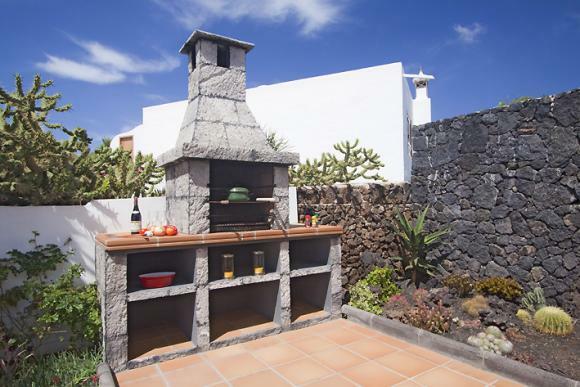 The well equipped kitchen has microwave, hob, fridge/freezer, washing machine, kettle, toaster and iron. 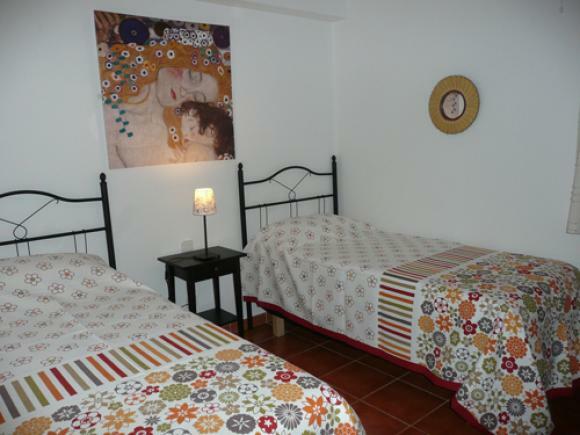 Stairs lead down to one double bedroom and one twin bedroom and one bathroom. 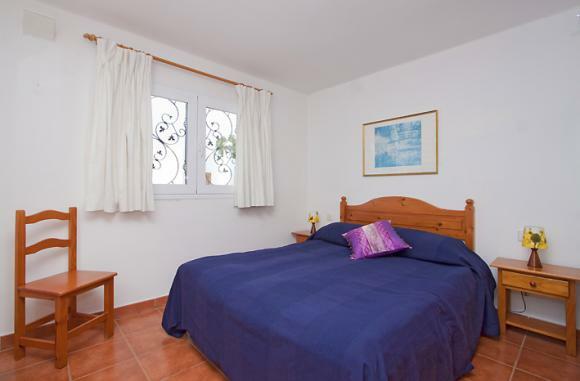 There are further steps from the lounge up to the master double bedroom with en suite bathroom. 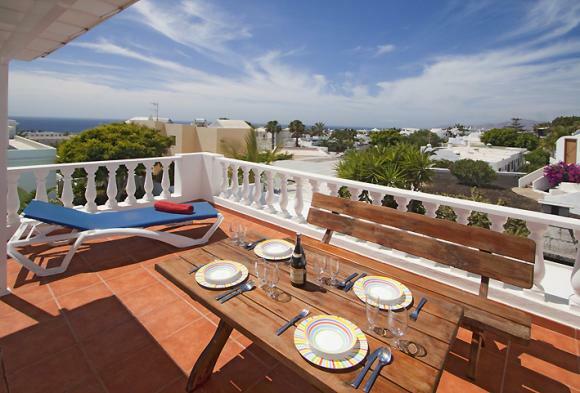 There is also a large terrace leading from the upper level with good open views towards the southern coast. 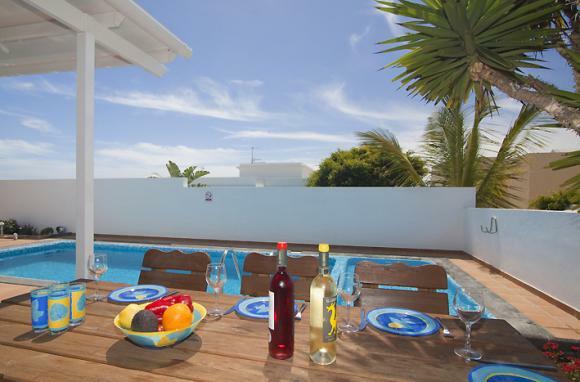 The property has its own spacious sunbathing terrace together with a private pool.